(Perris, CA, March 25, 2019) Perris Auto Speedway will celebrate its 23rd birthday this Saturday night, March 30th, and one of the invited guests will be the NOS Energy Drink World of Outlaws Sprint Car Series. The appearance will be the World of Outlaws only appearance in Southern California in 2018 and their first since 2017 as they were rained out last year. Others invited to the party are the popular Amsoil USAC/CRA Sprint Cars and The PAS Senior & Young Gun Sprints. Spectator gates for the quadruple header will open an hour earlier than normal at 4:00 P.M. with racing at 7:00. 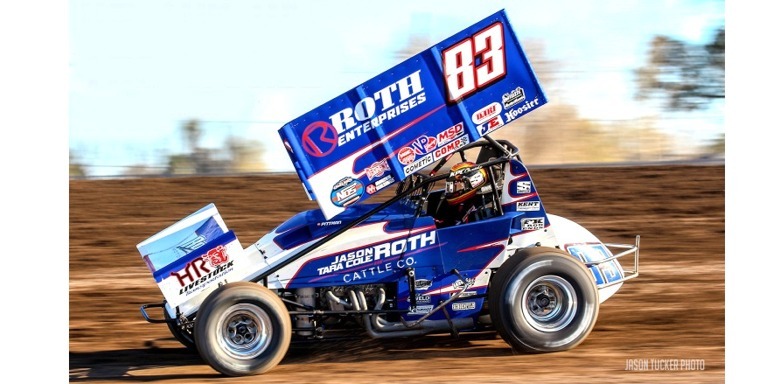 Oklahoma's Darryn Pittman has two wins and leads the World of Outlaws point standings. Jason Tucker photo.